Johnny Mercyside: My Top 50 Favourite Playstation 1 Games: #1 + more! My Top 50 Favourite Playstation 1 Games: #1 + more! If you missed #2 click here. Best Moment: The ending. For me, this is possibly my favourite ending in video game history. It gets reduces me to tears. Every. Damn. Time. Well, if you know me personally, you probably knew more than 50 days ago that my #1 game was going to be Final Fantasy IX. It would possibly top my favourite games of all time list, if I were to ever make one, which I may well do one day. FF9 to me is everything. Sure, I didn't give it a perfect score of 5 stars, but I don't think a game has been released that I'd rate a perfect score. 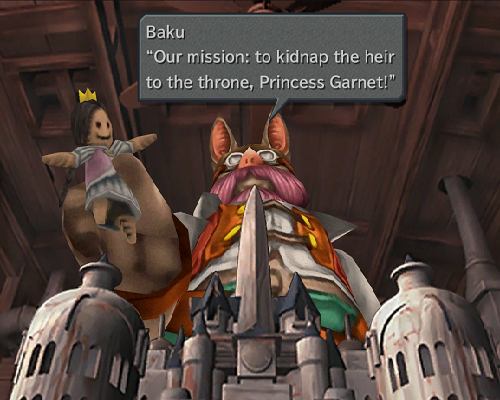 FF9 has some flaws, some frustrating moments even, but it has HEART. It has more heart than any game I've ever played, period. This game makes me emotional in so many different ways. The story is perfect, the characters are just a great bunch, the music is timeless, the graphics are beautiful in their flawed way. I just have so much love for this game it's unreal. 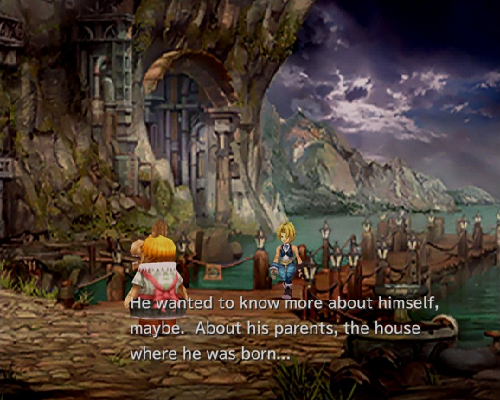 I even named my daughter, Vivi, after the black mage in this game. That black mage is, one of the best characters in video game history by the way. 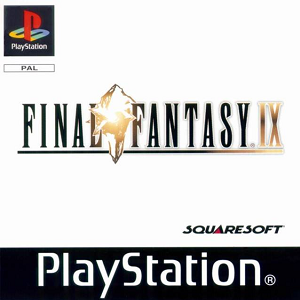 FF9 is not the first Final Fantasy game I played. It's not even the first Final Fantasy I'd suggest people play. It's for a very particular audience. It has an old school, nostalgic, poetic feel to it. It does play like the classic Final Fantasy games but it's also harder than other games, probably intentionally as a nod to the very classic FF games on the NES. But the way the story is told, the twists and turns, the excellent cast of varied characters, and, for me, the most perfect ending, is what makes this game truly special. I do struggle to put into words why I love this game so much, but this has been my best effort. I just love this game with all my heart, and for me, undisputedly, is my Favourite Playstation 1 Game. 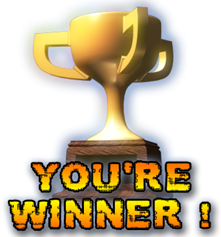 So Final Fantasy IX, congratulations, you've earned this prestigious trophy! Here's some nerdy stats if you're into that thing! 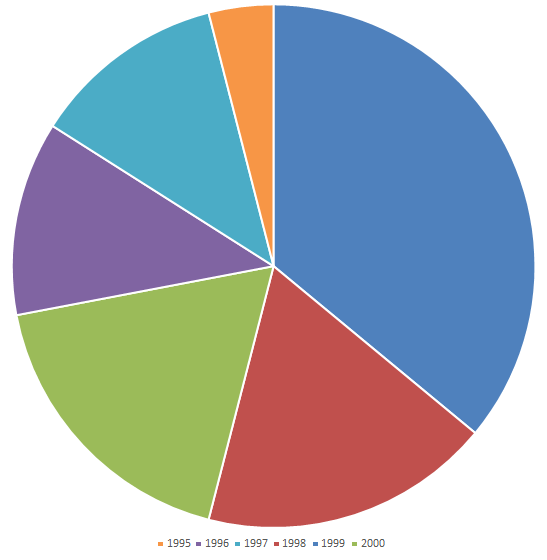 As you can see, the year 1999 dominated my list. It's one of my all time favourite years in video game history. Crash Team Racing, Worms Armageddon, FF8, Silent Hill, Legend of Dragoon, Resi 3, FIFA 2000 all are in my Top 20! 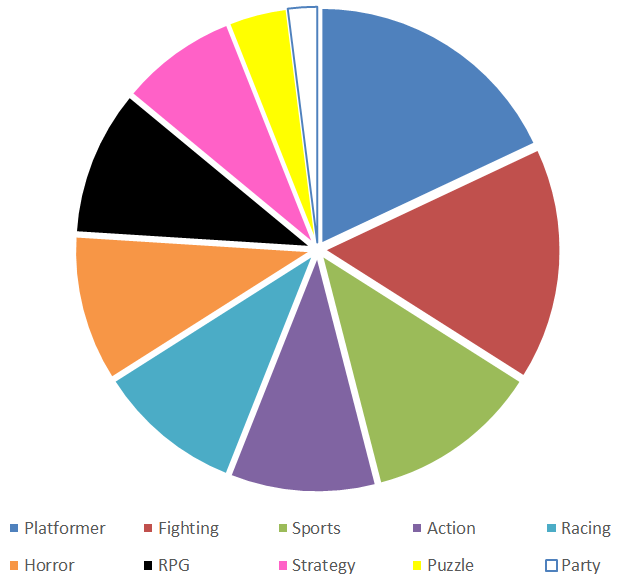 So Platformers, Fighting games and Sports games dominate the list. Despite RPGs being my favourite genre, there were only 5 in the list, compared to the 9 Platformers in the list. So... that's pretty much it from me! Thanks for reading my Top 50 Favourite Playstation 1 Games list. To go back all the way to #50 click here!